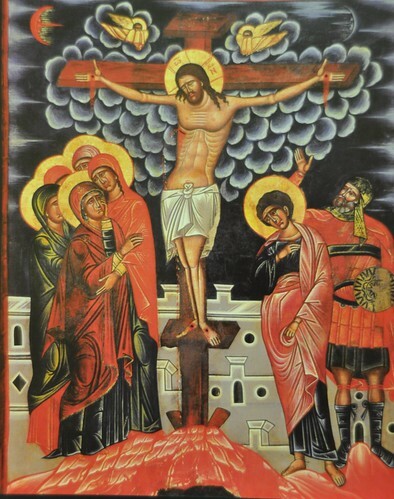 “The icon encourages us to reflect on this climax to our Lord’s earthly life; his work has been accomplished, and he commends himself to the Father. The following verses come to mind: ‘I glorified thee on earth, having accomplished the work that thou gavest me to do’ (John 17:4); ‘It is finished’ (John 19:30); ‘Father, into thy hands, I commit my spirit’ (Luke 23:46). And these verses from the letter to the Hebrews seem equally appropriate: ‘Let us run with perseverance the race that is set before us, looking to Jesus the pioneer and perfecter of our faith’ (Hebrews 12:1-2); ‘So Jesus also suffered outside the gate in order to sanctify the people through his own blood. Therefore let us go forth to him outside the camp, bearing abuse for him. For here we have no abiding city, but we seek the city which is to come’ (Hebrews 13:12-14). How precious is the gift of the cross! See, how beautiful it is to behold!…It is a tree which brings forth life, not death. It is the source of light, not darkness. It offers you a home in Eden. It does not cast you out. 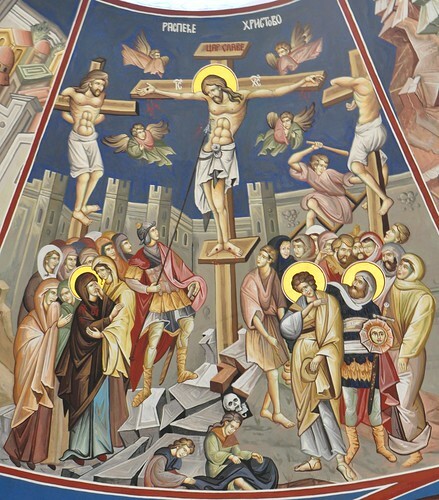 It is the tree which Christ mounted as a king his chariot, and so destroyed the devil, the lord of death, and rescued the human race from slavery to the tyrant. It is the tree on which the Lord, like a great warrior with his hands and feet and his divine side pierced in battle, healed the wounds of our sins, healed our nature that had been wounded by the evil serpent. Of old we were poisoned by a tree; now we have found immortality through a tree.